The Prime Minister, Shri Narendra Modi, today met French President Emmanuel Macron in Paris. Addressing media after the meeting, the Prime Minister thanked President Macron for the warm welcome and congratulated him for the election victory. The Prime Minister spoke of the service to humanity and human values that France-India relations have rendered successfully over the years. He expressed confidence that relations will go forward even faster. In this context, the Prime Minister mentioned the International Solar Alliance, and the joint effort of India and France to this cause. The Prime Minister described the Paris Climate agreement as a shared heritage of the whole world, and this generation’s contribution to the hope of future generations of mankind. He said it is our collective responsibility to save Mother Earth. 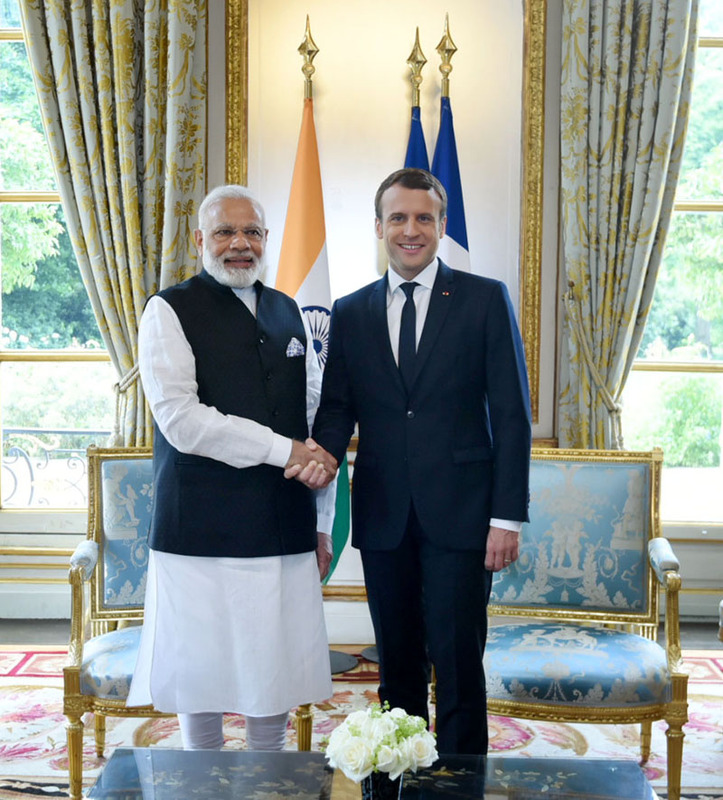 Describing the city of Paris as an important part of his political journey, the Prime Minister said India and France had worked shoulder to shoulder for this agreement. The Prime Minister described protection of environment as an article of faith for Indians, and a centuries old tradition. He said India is committed to the accord, and even beyond it, India will work and walk together with others to leave a gift for the future generations. The Prime Minister said both leaders also discussed ways to counter terrorism and radicalization. He said India is in favour of a united progressive European Union.